From June 4th to 7th, Luxembourg companies of the logistics sector are taking part at the ‘TransportLogistic’ exhibition in Munich, the world's leading trade fair for logistics, mobility, IT, and supply chain management. 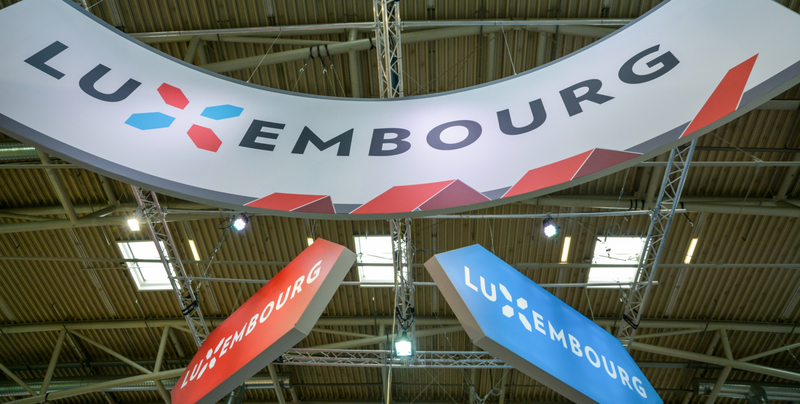 Two Luxembourg national booths are jointly organized by the Ministry of the Economy and the Chamber of Commerce. In the Hall B1 reserved for Air Cargo Europe 2019, the companies Arthur Welter Transport, Cargolux Airlines International, Cluster for Logistics, DuPont de Nemours, Global Airlift Solutions, LuxairCARGO and lux-Airport represent the Luxembourg air hub. The booth design includes a second floor for additional visibility and meeting space. The Hall B6 houses freight transport and logistics services with Cluster members: CFL multimodal, Cluster maritime, Luxembourg Institute of Science and Technology (LIST), Luxport S.A. / Lorang Gruppe, Société du Port de Mertert S.A. and Transalliance Europe. The Cluster for Logistics organises this year again the "Luxembourg Logistics Night" in the Augustiner Restaurant on June 5th with typical Bavarian music, food and beer. After an intensive day at the fair, this event offers a relaxing networking opportunity for the delegation.